The worldwide leader in family entertainment is about to get a great deal more entertaining, as the Walt Disney Company agrees to acquire iconic comic book company Marvel Entertainment for $4 billion. 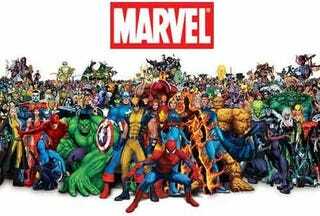 More than 5,000 iconic comic book characters will soon be in the hands of Disney, raising serious questions about the future of Marvel video game titles from Activision, Sega, THQ, and the upcoming MMO from Gazillion Entertainment. Under the terms of the agreement, Disney will pay Marvel shareholders $30 per share for their Marvel stock, plus .745 of a share of Disney stock for each share they own. Both companies have approved the deal, though it still has to clear the Hart-Scott-Rodino Antitrust Improvements Act and various regulatory committees before it can be finalized. Once finalized, Marvel's Perlmutter will continue to oversee Marvel's properties, working with Disney to help integrate the two properties across multiple lines of business. We're staying on top of the situation, with calls out to Disney, Marvel, Activision, THQ, and Sega for comment on what effects this move will have on Marvel-based video game properties. Update: Disney discusses what this could mean for video games.